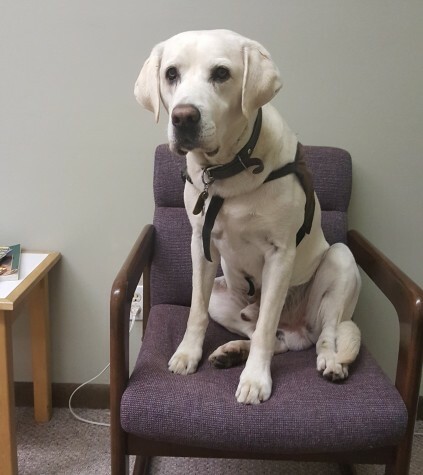 Maury is a very friendly, well-trained yellow lab who comes to work every day with me. He loves everyone, but if you are not comfy around dogs, please let me know and I can either keep him at my side, or in another room (speak up please, neither of us will be offended! ).